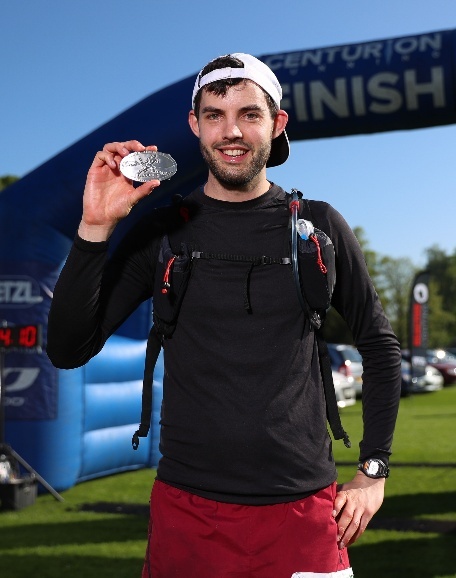 Running 100miles, via Intensive Care – by Stuart Kinton. I’ve been fortunate enough to do well at and enjoy endurance events since childhood and so have always sought challenges that test my physical boundaries. I have come to learn just how much the human body and mind are capable of and the incredible feats they can achieve. 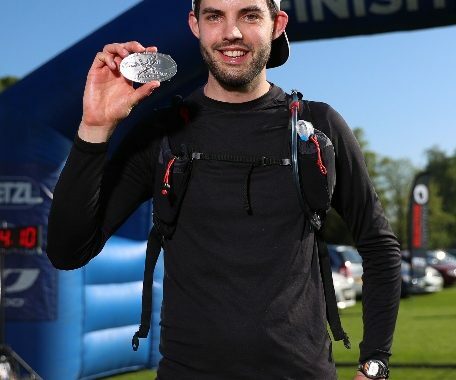 Only 3 years ago friend and former Roadrunner Gavin Collins was competing regularly in ultra-marathons and I thought the idea of him running 50 miles was a crazy one, one that I simply couldn’t get my head round. At that stage I had never completed a stand-alone marathon and had only run beyond half marathon distance a handful of times in training. Having completed an Ironman in 2014, I struggled for motivation and entered very little in 2015. I needed a new challenge to get me inspired again and running has always been the activity I enjoy the most. 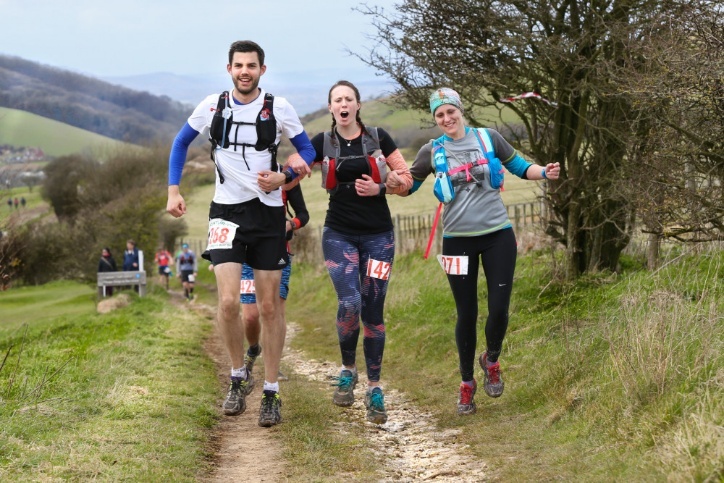 A friend suggested the South Downs Way 50 mile race in April 2016 and I went into it on a rather hit-and-miss training plan where my longest run had been 18 miles. A certain Gemma Buley just so happened to be racing that day and so we stuck together, power walking the many uphills and jogging all the flats and downhills. We reached the athletics track in Eastbourne with a great sense of achievement and couldn’t quite fathom completing those last 50 miles having already run 50 miles beforehand as is the course for the South Downs Way 100. Just over a month later, in May 2016, my life was quite literally flipped upside down. 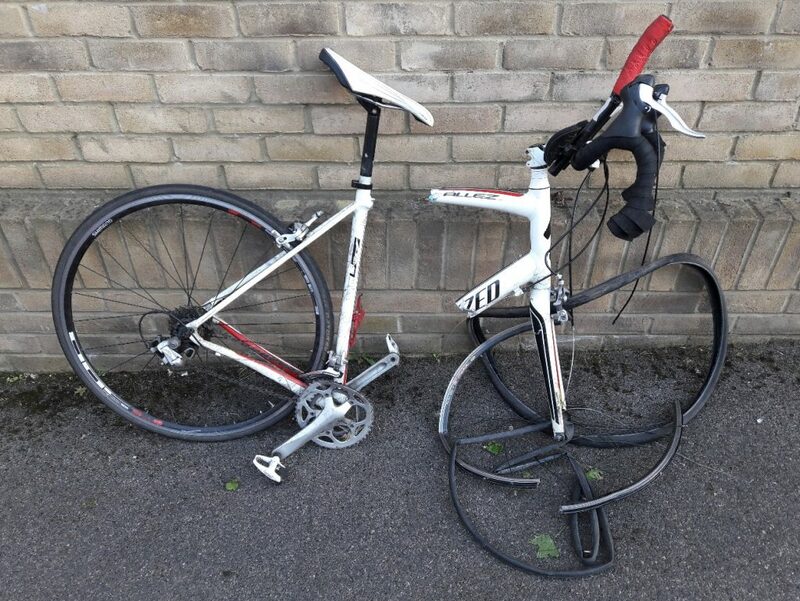 Whilst out on my bicycle I was hit by a car. The Thames Valley Air Ambulance flew me to Oxford where I spent 9 days in hospital including 3 days in intensive care with a variety of injuries. From very early on I saw this as another physical challenge, one that I would give everything to. I was determined that this accident would not define me and that I would come back and prove to myself that despite these injuries I was as good as, if not better than before. 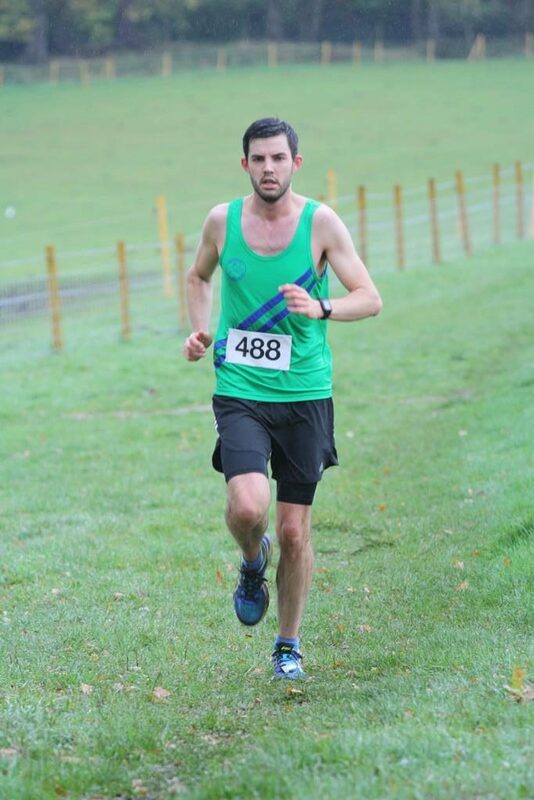 I spent lots of time in the gym and had managed a couple of runs before requiring further surgery on my arm and with it a ban on running until Christmas 2016. Of course the most sensible thing to do when under a ban on running, having sustained such significant injuries and having not run for so long is to put yourself on the waiting list for a place at the South Downs Way 100 in June 2017. I began running again at Christmas and did my best to start with short, steady and infrequent runs. My motto soon became, “time on feet”. Only the elite runners will actually run an entire ultra and therefore you have to train your body for a lot of walking too. At no other time in life do you spend 20+ hours on your feet, let alone asking your legs to provide continuous forward progress during this time and so getting acclimatised to this is important. I soon realised that I really enjoy sticking to a strict run-walk schedule and tend to base this around 12 minutes so that it fits nicely into an hour. One training run on the Ridgeway was as much as 9 minutes walking, 3 minutes running – this was a great way to get 30 miles and nearly 6 hours of ‘time on feet’ without taking too much out of myself or risking injury with too much running. I completed a number of these 25-30 mile run-walks and felt as prepared as I could be going into the South Downs Way 100. For me the idea of completing 100 miles is still too much to think about in one go and therefore it has to be broken down into smaller chunks such as aid stations. My goal for the race was to complete it, hopefully in less than 24 hours and also raise more than £2900 for the Thames Valley Air Ambulance (the cost of the average rescue). As per my usual racing I set off way too fast and got carried away by the excitement of it all. I went through halfway in 9:10 and was going well until about mile 78 by which point, a friend had joined to be my pacer. The relentless hills of the South Downs and the early pace took its toll and at that point I realised that the last 20 miles would be nothing faster than a walk through the night. This was extremely tough to handle mentally as I knew that this was likely 6 or so more hours of walking when already exhausted. Continuous forward progress is definitely the name of the game at this stage of an ultra and that’s what I did, putting one foot in front of the other over and over again. The emotion of reaching the track in Eastbourne was overwhelming, all pain left my body and I ran the last 200m like an effort on a Wednesday night at Palmer Park! There were a lot of tears; I was back, I had achieved something I had never dreamed possible, I had completed the race in 22:07:04 and had raised over £4,000 for the Thames Valley Air Ambulance. Of course I quickly forgot those painful last few hours and over time considered my next challenge. I thought about how strong I had been until those last 20 miles and wondered if I picked a flatter course and adjusted my training whether I could break the 20 hour barrier. 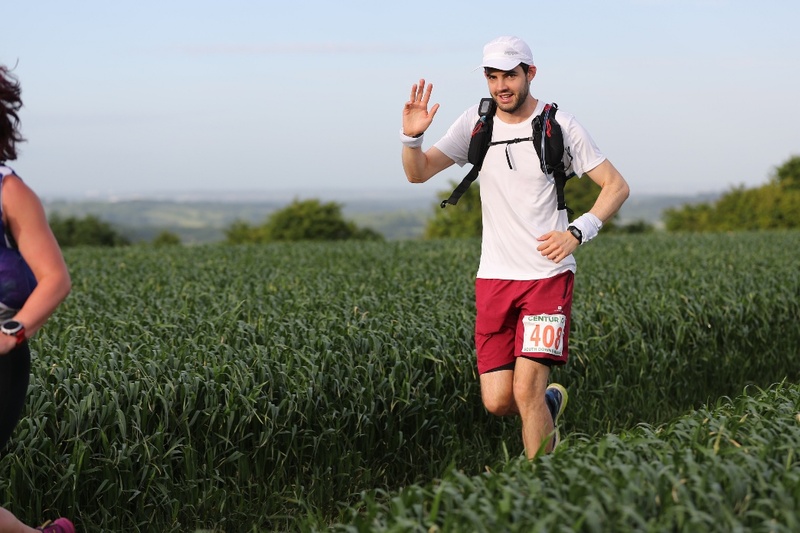 I chose the Thames Path 100 and was motivated by the fact that I would know so much of the course. This year I would also have a whole year of running in my legs and the knowledge that I could complete the distance. I completed Brecon to Cardiff (44 miles), Chester 50, and Exmoor Coastal 32 with four weeks separating each race so as to get my legs used to more ‘time on feet’. I did well at these races however a niggling foot problem meant that I had to really hold back on training in between them and therefore by race day my main goal was a PB, though I still had dreams of 20-21 hours. 9/1 run/walk schedule for the first hour, 10/2 for the second hour and 9/1 for the third hour. In hindsight I was running way too fast, particularly given the heat and with the walking breaks being so short I was not able to recover fully, get fuel on board and let this fuel digest. This was a big lesson in sticking to my training where my walk recoveries would be a minimum of 3 minutes and as much as 9 minutes as mentioned earlier whilst maintaining a very good average pace. I felt terrible 20 miles in; I was hot, I had sweated buckets, my legs were tired and my head had dropped at the thought of another 80 miles to go. I even considered at what point I would drop out and thought that if I did so then I would at least be able to enjoy the sunny bank holiday weekend. It was at this stage also that I swore I would never enter another 100. My goal of sub-22 had gone and so I set my sights on sub-24, something I knew I would still have to work really hard for. To get through the heat of the day with my fatigued body and mind I was only managing sporadic short jogs but this was helped by tagging along with other runners on their jogging efforts. I just kept ticking off each aid station, working towards the next one and a few miles before Henley realised that my power walking pace was really strong and saved a lot of energy also. I got into the halfway point at Henley in 10hrs 34mins and was buoyed by my strong walking and the fact that I was now joined by a friend to pace me. Having a familiar face and conversation is so valuable and this really helped me to push on with the walking pace and manage a few short jogs wherever possible. I am extremely grateful to my friends for giving up their Saturday night to pace me and a real psychological boost was that every couple of hours it would be a different friend taking over pacing duties and so with it came fresh conversation and something to work towards. I knew that if I maintained 4mph I would go under 24 hours and I was consistently hitting that even with aid station stops along the way. I was sure to get into each aid station, grab what I needed, have a sugary cup of tea and get going as quickly as possible so as not to waste time. Between Goring and Benson I really got a second wind and was running 2-3 minutes at a time regularly and feeling great. I knew that every minute I put in the bank now would aid the sub-24 hour goal. I experienced the most beautiful sunrise near Clifton Hampden as I was back to a strong walk but realised that I still needed to keep fuelling. My main fuel throughout the day had been grapes and pineapple, the only things that I really wanted and could manage in the heat. As the sun came up the heat began once more and my body was fatiguing. I was just so grateful that the path was firm the whole way as I ran the last 15 miles a month pre-race and it was incredibly muddy, I really wouldn’t have fancied wading through mud with 90+ miles in the legs! My feet were very sore but I fought on with a good walking pace, though my conversation with my pacing friend was very minimal by this stage. I saw the finish line in Oxford and managed one last run across the finish line in 22:52:20. I think my aim now is to complete Centurion Running’s series of four 100 mile races. I think I will aim for the North Downs Way 100 next year and Autumn 100 (based out of Goring) in 2020. As for this year I am hoping to pace a friend to a sub 1:30 half marathon and another friend to a sub 3:45 marathon. As well as this I am aiming to complete my first swim-run event in the Lake District, which will involve approximately 37km of running and 5km of swimming. Thank you for reading. If anyone would like to speak to me about my experiences, my training or ultra running then please feel free – I’ll do my best to make it down to more Wednesday track sessions and local races.